"The Americans and the Soviet have such different memories of World War II," Kuznick, a professor at American University, told Loud & Clear’s Brian Becker. "Americans see it in the triumphalist sense. 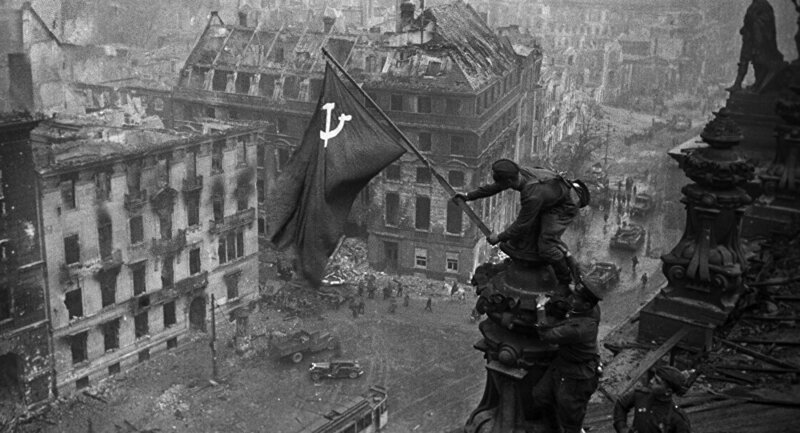 The Good War, the victory against fascism. But the American sacrifice was relatively minimal compared to the Soviet sacrifice." "The Soviets lost 27 million people in World War II. Everybody was affected. All families lost people and they all suffered immensely during the war." 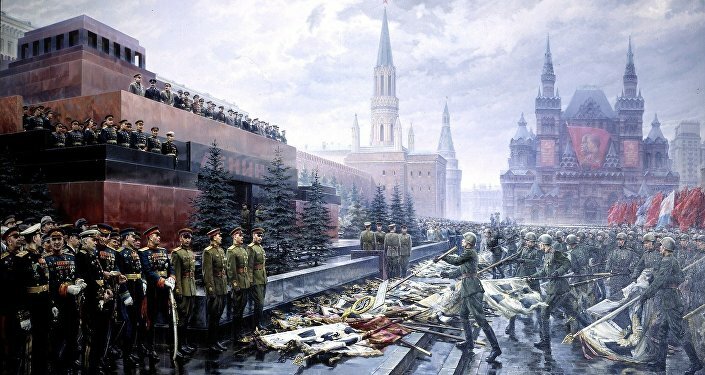 Victory Day is much more widely celebrated in Russia than in the United States, notably because the USSR played the key role in defeating the Nazis, contrary to popular beliefs in the West. "One of the big myths about World War II is that the United States won the war in Europe," Kuznick says. "The United States contributed to the Soviet victory…but it was the Soviets who did most of the fighting. "Not only do we have different narratives, we have different chronologies for the war. The Russian war starts in 1941, [while] the American war starts really in June of 1944, three years later, [when] the Americans land at Normandy, push through the German forces, march to Berlin, and win the war." "If you ask American students, that’s the understanding they have of the war,” he adds. “It’s part of this narrative about World War II that is so fundamentally mistaken that it really falsifies history." After the war, the US and USSR stated their intention to work together with Britain, France and China to maintain global peace. But this alliance was quickly eroded. "One of the tragedies is that the post-war alliance that [President Franklin] Roosevelt and Vice President Henry Wallace had envisioned was destroyed," Kuznick says. While the European war theater ended on May 9, the Pacific war theater continued for a few more months, resulting in the controversial use of nuclear weapons against Japan in Nagasaki and Hiroshima. "It was not only unnecessary from a military standpoint, but the American leaders knew it was militarily unnecessary, and the Soviet leaders also knew it was militarily unnecessary," he says. "In fact, the Soviets knew better than anybody…how unnecessary the dropping of the atomic bomb was. And that’s because the Japanese had adopted a strategy of trying to get the Soviets, who were neutral, to intervene on Japan’s behalf to get better surrender terms from the United States." Given that Washington was aware of Japan’s imminent surrender, the use of atomic weapons – killing hundreds of thousands of civilians – may have had a purpose other than the oft-repeated aim of ending the war. "If it was not to defeat the Japanese, who were we sending the message to? And it was clear to a lot of Americans, and it was certainly clear to the Soviet leaders in the Kremlin, that they were the actual target of the bomb, even more so than the Japanese." The United States was saying, according to Kuznick, that "'this is what’s going to happen to you, Stalin and company, if you mess with America’s plans in Europe or in the Middle East or in Asia.' It was a clear warning." The use of nuclear weapons at the end of the war launched a nuclear arms race and, essentially, sparked the subsequent Cold War. "At this point, he [Soviet leader Joseph Stalin] realized that the Cold War had taken a quantum leap forward in terms of US aggression and US ruthlessness. The Soviets believed at that point that the Americans were so ruthless in terms of trying to achieve their purposes that nothing would constrain them."